I will leave this image here and say no more Feel free to speculate if you're so inclined. Well, it looks beautiful. Some kind of puzzle platformer? Love the tileset, looks awesome. Will we be getting any more images soon? I'll post images as progress is made, but this is not the top priority of my ongoing projects, so they will not come regularly. Is it a remake/port of an existing game? Or something new? I like the slime looking characters also . 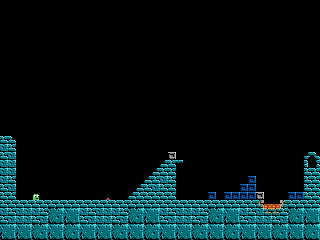 Gettin a cave story vibe? Love the tileset so far! © Copyright 2000-2019 Cemetech & Christopher Mitchell :: Page Execution Time: 0.139357 seconds.